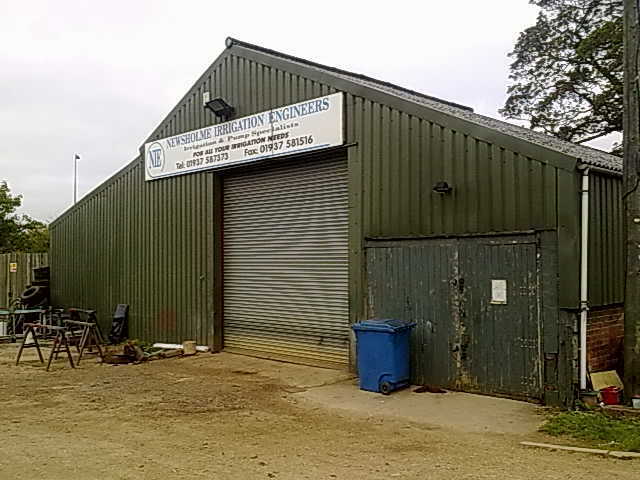 Newsholme Engineering are based at Walshford, just off the A1, four miles north of Wetherby in rural North Yorkshire. 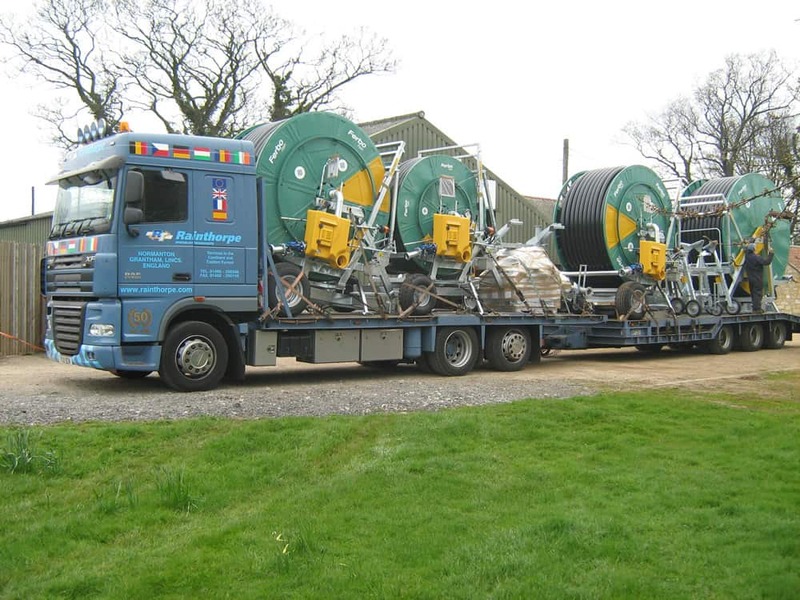 With more than 30 years experience of supplying, installing and servicing of some of Europe’s leading suppliers and manufacturers of water distribution and irrigation equipment, we believe we can specify the most cost efficient and reliable system to meet your individual requirements. 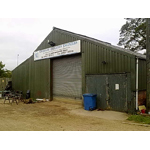 We have extensive indoor and outdoor storage and a well equipped workshop and paint shop where we undertake service work, fabrication and assembly. 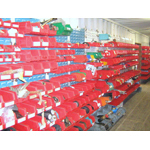 Loading and unloading facilities are provided by fork lift trucks and telescopic loader. 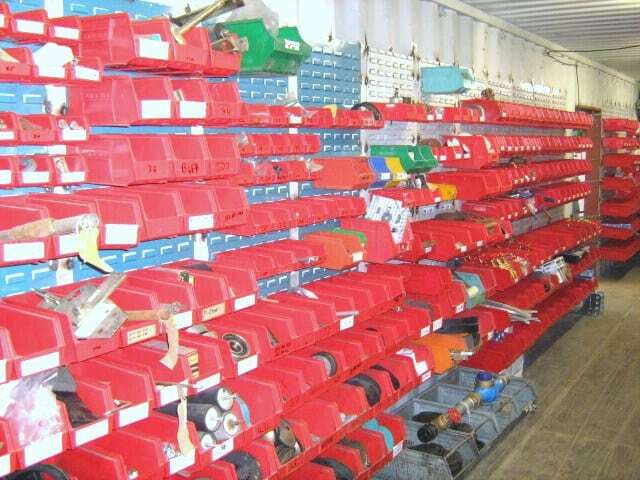 We hold extensive stocks of spares and accessories for a wide range of machinery, including recent model Wright Rain Rainmaker, Idrofoglia, Ferbo and other makes of hose reel irrigators; including Wright Rain Super Touraine, Farrow Waldhauser and Nerthus hose reel irrigators, some supplied over 25 years ago and still being used! 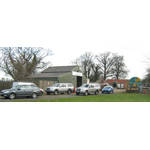 Deliveries and on-site installation and service work is accommodated with our fleet of 4×4 pickups, vans and trailers, contract hauliers are utilised for delivery of larger equipment, overnight couriers are used for spare parts and other urgent requirements. 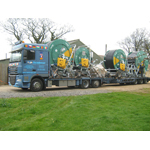 Ferbo Rain, Idrofoglia, MaterMacc, Irrigamatic, IdroMop, Komet, Nelson, Wright Rain, Rainmaker, Super Touraine, Farrow, Waldhauser, Nerthus, Kaskad, Bauer, Javelin, Irrifrance, Rovatti, Caprari, Lowara, F W Murphy, ST Controls, water engineering, distribution, pumping systems, irrigation equipment, service, fabrication, spares and accessories.